Over the past 4 years I have spent a great deal of time researching stock promoters and penny stocks and during that time no stock promotion company created a bigger fan base than Awesome Penny Stocks. One name above all others stands out in connection to Awesome Penny Stocks - Eric Van Nguyen. This report will summary the key points of my research over the past 4 years and piece together to the best of my ability the history of Awesome Penny Stocks (from its rise to its fall) as well as the rags to riches story of Eric Van Nguyen and how we went from a subpar day trader and sushi chef to an IHUB message board pumper to the biggest name in penny stock promotions amassing a fortune of well over $100 million from his illegal stock promotion activities while remaining out of jail to date. Eric Van Nguyen got his start trading penny stocks at a day trading firm in Montreal called Swifttrade prior to 2006. 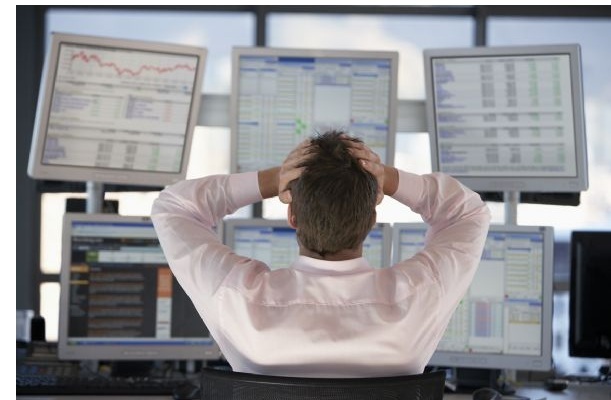 While at the day trading firm he lost $100,000 of the money his father lent him all within a matter of months. At this time he was only in his early 20s but he obviously had his mind made up that he wanted to make something of himself in the stock market. While trying to break into the whole stock business, Eric was a sushi chef at a restaurant in Montreal called Shogun. Eric's dad and brother worked at the same restaurant. Later in 2012 Eric would offer a nice review for his old employer on yelp. Eric Van Nguyen got started on the IHUB message boards in 2007 shortly after his day trading experiences posting under the alias ericvan. Eric learned the IHUB posting game from IHUB regulars like Doug Osbourne and Laurie Mazzarella. Laurie Mazzarella posted under the alias rebelgirl and was involved in a number of stock promotion companies of her own from 2006 - 2013. Mazzarella has since left the IHUB and currently runs Microcap Innovations which offers individuals paying for a stock promotion the option of staying anonymous by funneling their money through Microcap Innovations for a fee and using the name Microcap Innovations as the paying party instead. Doug Osbourne posted under the alias dooglearchie. It didn't take Eric long to build up some strong contacts through IHUB. Eric and some of his friends were the main drivers behind Media City Corp (MCCY). Laurie Mazzarella ran the whole IHUB PR blitz behind MCCY and trained Eric in the process. Mazzarella was given free trading shares in MCCY for her efforts that she never disclosed. Doug helped with the IHUB pumping and was also given free trading shares of MCCY that he never disclosed. MCCY was a company out of Montreal with ties to Patriot Energy Corp (PGYC), Lotta Coal Inc (LCOL), and North-West Oil Group Inc (NWOL) which were tickers controlled by Jean-Francois Amyot, Gerald Parkin, and other power mafia type individuals out of the Montreal area. The attorney for MCCY was Alain Houle who was put there by Amyot. Houle worked at Briere Lebeuf until recently. Confirmed here. Briere Lebeuf has long been very active with penny stocks in the Montreal area. JF Briere and Michel Lebeuf know Jean-Francois Amyot personally and they knew of Alain Houle's involvement in all of Amyot's deals. Houle would later hold SPPH stock for Amyot in the Caymans during that pump&dump in 2010. MCCY looks like it was hijacked by this group in 2006. It became Effective Control Transport Inc (EFFC) in December of 2007 then was abandoned again after all the pump&dumping was over. The SEC suspended EFFC on February 3, 2014 along with NWOL and 253 other inactive tickers. PGYC was suspended by the SEC on June 2, 2009. LCOL was suspended by the SEC on September 23, 2009. Eric spent hours and hours in his parent's basement posting on the IHUB and pumping stocks like MCCY. Some of his family members and friends took positions in MCCY and they did very well. It was during this time that Eric was also attending Concordia University in downtown Montreal. It was at Concordia that Eric met a Cambodian girl named Tally that would become his girlfriend. In 2008, Eric founded his first stock promotion website, Xplosivestocks.com, through his company Golden Dragon Media Inc.
Xplosivestocks.com did very well and drew the attention of other individuals like Donna Levy and David Levy who played a big part in helping Eric Cusimano grow Best Damn Penny Stocks into a successful stock promotion company in 2008. Cusimano would later do a number of deals for Jim Can linked tickers. Donna and David Levy had Eric fly down to Florida to meet and brought him in on the BANI stock promotion in 2009. BANI was Eric's first big deal and he received a $250,000 cash payment to promote it from the Levys which Eric then deposited into his Bank of Montreal account. It was through Donna and David Levy that Eric met Kevin Sepe. Sepe got Eric involved with Jay Fung, AJ Thompson, and Kenneth Oxsalida. This group promoted HydroGenetics Inc. (HYGN), Xynergy Holdings Inc. (XYNH), Blast Applications Inc. (BLAP), Blue Gem Enterprise Inc. (BGEM), Mass Hysteria Entertainment Co. (MHYS), Lyric Jeans Inc. (LYJN), Smart Holdings Inc. (SMHS), Recycle Tech Inc (RCYT) in late 2009 - early 2010 through websites like OxofWallStreet.com, PennyPic.com, titanstocks.com, and MonsterStox.com. The operation amounted to a $290 million pump&dump scheme in which Van Nguyen, Sepe, Fung, Thompson, Oxsalida, and others secretly owned stock in the tickers they were promoting and sold that stock during the paid promotions. On September 11, 2014, the DOJ of New York brought charges against the group for the $290 million pump&dump scheme. The SEC had perviously brought charges against Kevin Sepe along with Melissa Rice, Ronny Halperin, Seth Eber, Howard Ettelman, and Charles Hansen III in 2012 for the HYGN pump&dump and Sepe, Fung, and Thompson along with Ryan Gonzalez and David Rees for the RCYT pump&dump. Donna and David Levy who were career fraudsters ended up being Indicted by the DOJ of New York in December of 2011 for the CNWI and BANI pump&dumps. They were found guilty in March of 2013. David Levy was sentenced to 9 years in prison. Donna Levy was sentenced to 126 months in prison. 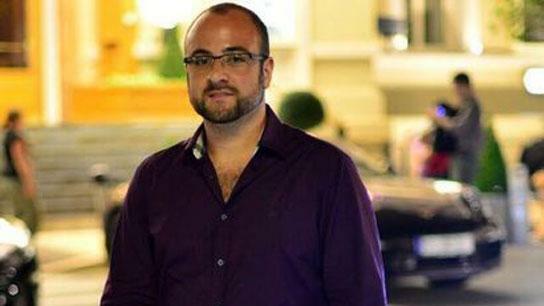 Eric Cusimano was arrested in Panama in June of 2014. The Indictment can be viewed here. His case is nearing a guilty plea which could come later this month. In 2009 Eric ran into some tax issues with the Canadian Revenue Service which he would end up resolving, but it was probably because of these tax issues that Eric brought his cousin, Suzie Ma, into the stock promotion business. Suzie had worked with Eric at the Shogun Sushi restaurant as a hostess. She spent some time as a student in LA before coming back to Montreal. While studying in the U.S. Suzie obtained a US Green Card which she used to set up Omni Consulting Corp as a Wyoming business entity. Omni Consulting owned TheOTCmarket.net and latestbusiness-news.com which did paid stock promotions, promoting many of the same tickers that Eric was involved with. One of Suzie Ma's connections on her LinkenIn page is Kevin Carson who in 2012 was busted by the SEC in connection to the Prime Star scam. Carson was a promoter linked to GEMN (one of the ticker names in the Sherman Mazur, Marc Harris, Regis Possinio boiler room operation bust in 2013). Carson also provided some deals to Eric Van Nguyen through the years as well. Suzie was flat broke, but after getting involved in the penny stock business with Eric, she was able to afford to buy her own apartment building and open up her own restuarant called La Pearle Noire in South Shore Montreal with her husband who had previously worked with her and Eric at the Sushi place. Recently she purchased her second restaurant, another sushi place in downtown Montreal called Saiko Bistro. The restaurant sits just 6 doors down from the Autorité Des Marches Financiers (AMF) which is the Quebec regulators in charge of financial crimes. From hostess at Shogun to owner of two restaurants - penny stock promotion magic. Her net worth easily reached $5 million or more. 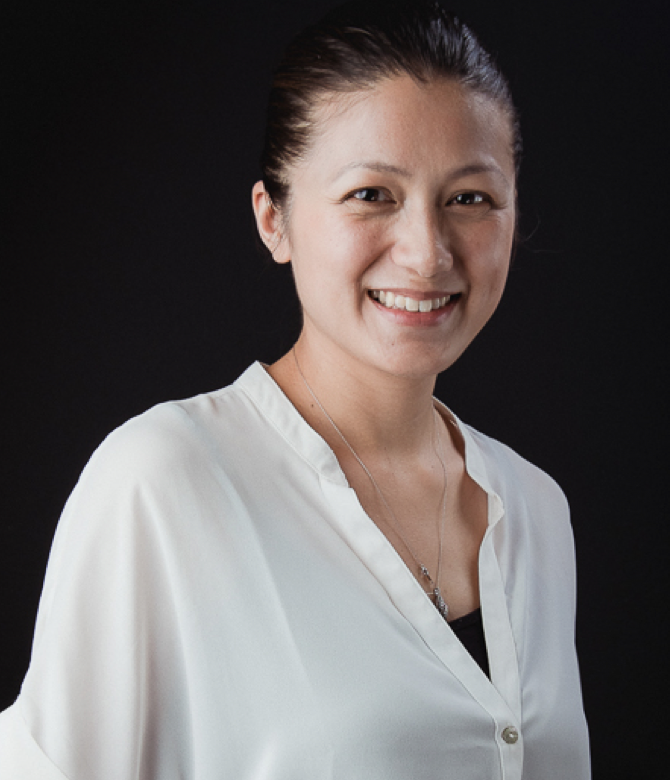 Using her US Green Card (not her Canadian ID), Suzie Ma set up a number of accounts all over the United States through Omni Consulting from Nebraska to New York. It is our belief that these accounts were also being used to hold a lot of the profits made by Eric during this time. The cash made from their deals never made it back to Canada instead it was kept in the US and never reported to the Canadian government. Suzie wasn't the only relative of Eric's to suddenly go from rags to riches. 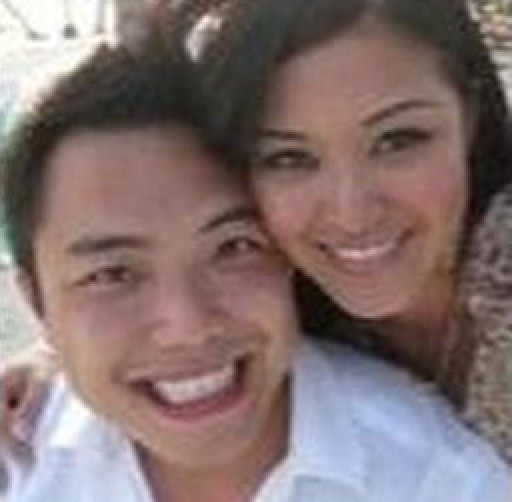 Eric's brother, David Nguyen, who was a dishwasher at the Shogun restaurant while Eric and Suzie worked there, ended but moving into his own huge house probably paid for by Eric. Eric used David to hide his cash in the PGYC deal. Shares of PGYC were even put in David's name to hide Eric's ownership. Money made through stock promotions helped David Nguyen (aka David Ng) to start Shogun Sauces (named after the family restaurant) and helped David and Eric's Cousin, Tieu Ma, start Deal Life Inc. The success of Xplosivestocks.com also drew the attention of Tony Papa who, according to documents obtained by the Montreal Journal, became the owner of Xplosivestocks.com with Eric Van Nguyen sometime before September of 2009. 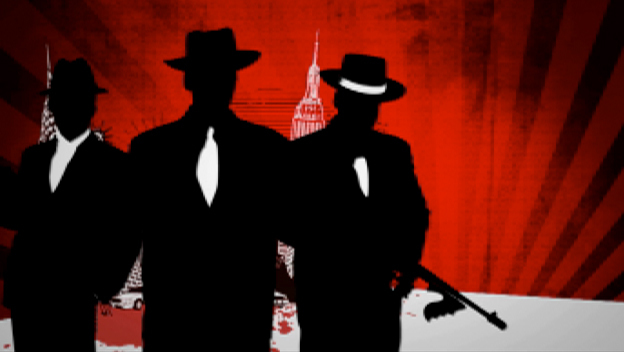 Tony Papa has long been closely tied to Vito Rizzuto, the Godfather of the Montreal mafia. An old shareholder list for NWOL (mentioned earlier in this report) shows Tony Papa, Michael Strizzi, Leo Rizzuto, Jean-Francois Amyot, Gerald Parkin, and Anthony Gallo were all shareholders in NWOL. NWOL wasn't the only penny stock that linked Amyot and Parkin with the Montreal Mafia. AURC was another. Gino Zepptini is the broker that Amyot and Papa used to help liquidate their NOWL and AURC holdings. Zepptini helped Amyot liquidate massive positions over the years and was paid under the table for his services. Tony Papa had his own tax issues in 2008 related to his involvement in penny stocks, specifically AVBG. The involvement of the Rizzuto crime family in penny stocks goes back to the 1990s and early on centered around stock promoters like Robert Papalia. Interesting link here. It was probably this new association with Tony Papa that really launched Eric Van Nguyen's career as a penny stock promoter. Tony introduced Eric to all the big players in Montreal and Panama. In 2009 - 2010, this group of Eric Van Nguyen, Tony Papa, Jean-Francois Amyot, Anthony Gallo became very close, partying together often and hitting the night clubs like Club 1234 and strip clubs on a regular basis. Anthony Gallo who is the son of Moreno Gallo has since pulled out of the stock promotion business after his father was murdered in Mexico possibly by mafia hitmen due to some tensions between Gallo and Rizzuto. Tony Papa married Anthony Gallo's sister, Micheline Gallo. Tony Papa's right hand man was Michael Strizzi who was also a stock promoter and a confidant to the Rizzuto family. Strizzi was very close to Nick Rizzuto. Nick was killed in the run up to the attempted coup against Vito so it is a little strange seeing Strizzi working hand and hand with Tony Papa (considering that Gallo was against Rizzuto). Money talks though and Strizzi made millions with Papa and left Montreal to live in Sarnia (Ontario). It was Strizzi that later helped Eric run the GWBU stock promotion. GWBU was a ticker that had many of the Amyot associates as insiders. Strizzi also helped Joseph Padilla set-up a new brokerage firm in Panama called Sterling Securities Group which would become a key brokerage firm used by Awesome Penny Stocks starting in 2012. Padilla is a banned broker that assisted a number of pump&dump schemes while he was running Scottsdale Capital Advisors from 2007 - 2011. More information here. Xplosivestocks.com became a big pumper of some of the Amyot shells in 2009. In December of 2012 Jean-Francois Amyot would finally be named in SEC litigation for his SPPH fake buyout pump&dump scheme from 2010. By the fall of 2009, John Babikian was also brought into the mix as a part owner of Xplosivestocks.com with Eric Van Nguyen and Tony Papa. Babikian had been involved with some promoter group out of Texas and ran some promotion on Playbox Inc (PYBX) in late 2008. It was during the PYBX promo that John and Eric met for the first time. Being from Montreal and being a smart business man, Babikian probably saw the potential for much more success by getting involved with Eric Van Nguyen. Together John Babikian, Eric Van Nguyen, and Robert Kalfayan would form a partnership that would change the face of the stock promotion industry. Kalfayan was close friends with Babikian and brought experience with email spamming having been named along with his brother in an email spam lawsuit in 2005. 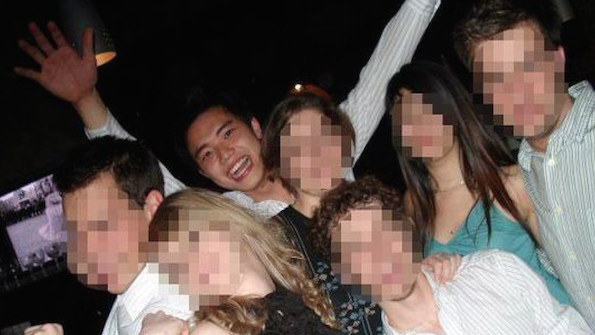 Kalfayan was also a former student at Concordia University just like Eric Van Nguyen. From all of these new associations, Awesomepennystocks.com (APS) would emerge as the primary website for this group in early 2010. Somewhere around this time APS gained access to the old email spam list used by Skymark Media Group Ltd. Through all its efforts APS was able to build an email list of over 700,000 subscribers which was by far the biggest spam email list ever assembled by a penny stock promoter. Skymark was a stock promotion company run by the Kirk family (Benjamin Kirk and John Kirk). Joe Padilla played a big role in bringing the Skymark email list to Awesome Penny Stocks. The Kirks ran high profile pump&dumps on PBEC and TSHO in 2009. The Kirks used Luis Carillo and Wade Huettel to help provide the legal services to make their pump&dumps work. John Kirk, Benjamin Kirk, Luis Carillo, and Wade Huettel were finally named by the SEC in litigation in 2013 for PBEC and TSHO. Warren Davis and his money laundering operation, Gibraltar Global Securities, were also named in that litigation. Gibraltar provided a number of services to help individuals in the US and Canada hide their share ownership and the proceeds gains by the sales of those shares into the market. Not only did APS gain the email spam list from Skymark, but they began using Luis Carillo and Wade Huettel for various legal services and began using Gibraltar for various money laundering services. Notable Individuals whose names showed up in documents related to the Gibraltar Global Securities when Gibraltar shut down included Tony Papa, Jim Can, Scottsdale Capital (Joseph Padilla, Andrea Bruno, Stephanie Bruno, Michael Cruz, John Hurry, Phillip Koehnke), Edward Bronson, Luke Zouvas, and Ronald Touchard among many others which can be found here and here. One of the best promotions done by APS in 2010 was Coastal Pacific Mining Corp (CPMCF) which was a Calgary based company largely controlled by Caroline Winsor (aka Caroline Meyers aka Caroline Danforth). Suzie Ma's websites also helped promote CPMCF. Winsor was arrested in July of 2014 for her involvement in CPMCF, for bribery/kickback charges related to FCTOA and VOIS, and for her involvement in the OCTX pump&dump. She is expected to plead guilty any day now. Other paid promotions linked to APS and/or APS affiliate sites in early 2010 and early 2011 included PEPR, CPOW, DIAAF, WRIT, and CDOI. A lot of associations formed at this time came back into play later for APS including Phil Kueber (PEPR and WRIT) and Andrew Coldicutt (CDOI) for example. APS and/or APS affiliated stock promotion websites would end up doing promotions for more tickers linked to Kueber and Coldicutt including AMWI in 2011, VLNX in 2012, PWEI in 2012 and 2013, and PCWT in 2013. CPOW ended up being named in litigation by the British Columbia Securities Commission because of its pump&dump activity and use of Gibraltar Global Securities. During this time Babikian used his BMO Account because he was still young and did not understand the level of sophistication he would need to protect his identity and business. So in these years millions of dollars were run through the BMO Accounts, at which point BMO became suspicious and filed an SAR (Suspicious Activity Report) with Tax Authority and AMF. They demanded explanations from Babikian. His explanations were not satisfactory. Babikian in an effort to avoid any tax on his income moved assets around from his BMO account to offshore under the impression of "LOANS" this was in his first 2 years when he made $11.5 million. In August of 2011, Awesome Penny Stocks would promote HDSI and MILV. These were key tickers for various reasons and in many ways marked the beginning of bigger things for APS. Both HDSI and MILV had Aaron Lamkin as an insider. Aaron Lamkin and Scott Gelbard were very experienced with setting up new shells to be used for pump&dump activities and may have already had some S-1 tickers set-up and ready to go. Like Babikian, Lamkin was a wine enthusiast. HDSI was a ticker that used Mackie Barch who would end up becoming the CEO of SNPK right before that ticker got promoted by APS in March of 2012. With HDSI, APS would have some problems getting the CEO, Tassos Recachinas, to do timely press releases as requested. More info here. It was during this time that APS decided they needed to control every aspect of the ticker including the shell taken public, the free trading stock, and the merging entity. MILV had Leonnel Iruke as legal counsel. Iruke represented APS in at least two separate legal matters. One of the legal matters was a lawsuit against TheBullExchange (Dino Paolucci) for allegedly stealing the mailing list from Awesome Penny Stocks. Paolucci was a close associate with Tony Papa. The Papalia family owns a chain of Miami Subs Pizza&Grills in Toronto. Papa and Paolucci would meet at the one on Queen St. often to do deals. Dino Paolucci was also friends with AJ Thompson. It was through those friendships with Papa and Thompson that Paolucci became a partner/associate with Eric Van Nguyen and John Babikian and Awesome Penny Stocks in 2010/2011. Eventually there was some fallout between Van Nguyen/Babikian and Papa/Paolucci and Tony Papa and Dino Paolucci left the group. I suspect it was Tony Papa that stole the email list from APS and passed it on to Dino Paolucci who used it for the first ever TheBullExchange (TBX) promotion of ECIT in January of 2012. In March of 2012, APS filed suit against TBX for stealing that email list. More info here. Leonnel Iruke was also named in litigation against John Babikian filed by his ex-wife in 2013 as one of Babikian's personal attorneys and good friends. More info here. Another MILV insider was Richard Groome of Montreal. Richard Groome and Jean-Francois Amyot were best friends. Richard Groome was part of the SPPH debacle. Richard Groome was a key player at Marleau Lemire (in Montreal), Notre-Dame Capital Inc, Groome Capital, and Desjardins Securities (the provinces biggest French brokerage firm). Richard Groome would show up again in APS ticker XUII along with Pierre Gauthier. They were the two biggest wheels behind Hitlab Inc. It was Pierre Gauthier that brought Eric Van Nguyen in to XUII to work with Amyot and Groome. Gauthier did some huge gold deals in the 80s and 90s like KWG and St-Genieve. Gauthier is like French promoter royalty. The relationship between Groome, Gauthier, Amyot, and Jean-Guy Lambert goes back to at least 2006 in Diary Fresh Farms (DYFR). Beginning around this time, with some of the new associates brought on board, APS would no longer be the need to hijack old tickers like was done with a lot of the old APS promotions from 2009 - 2010 or to run promotions on stocks that were controlled by other individuals like was done with a lot of the APS promotions from 2010 and early 2011. APS would now be setting up their own shells and taking them public. By taking their own shells public the APS insiders would have control of all of the free trading stock when the paid promotion was run on the ticker which would translate to better promotions and lots more money being made by the APS insiders. Most of the later APS promoted tickers were done this way including SVEN, FARE, SWVI, XUII, and GOFF. It was around this time that APS added Anthony Kerrigone to the team. Kerrigone was a broker working for market maker Wilson-Davis (WDCO). He worked out of his home in a one man office that was considered the Denver satellite location for WDCO. That house was located very close to houses owned by Aaron Lamkin and Scott Gelbard in Denver, Colorado. Kerrigone would help with the stock manipulation while the new associates took care of the shell structure and the depositing of stock. Here is where they begin to make SERIOUS money. While this group did trading they all communicated via encrypted blackberries and would sell the stock from a shared account. We believe that Babikian, Van Nguyen, and other key associates all got a cut of the profits with Babikian getting the largest cut. Anthony Kerrigone made his money by going short when they told him to stop supporting the promotion through Wilson Davis (WDCO). It appears that Kerrigone is a good trader shorting penny stocks but in reality he's taking his payment for his role in the Awesome Penny Stock cartel that way. With Gibraltar Global Securities under heat from the regulators and no longer in business, Nguyen and Babikian moved their operations to Belize in 2011 using a Money Laundering operation fronted by Robert Bandfield and Andrew Godfrey that included brokerage/clearing firms that were set up with the help of Warren Davis, Robert Shull, Kenneth Liebscher, and Lionel Welch like Legacy Global Markets (Gregg Mulholland and Brian de Wit), Titan Securities (Kelvin Leach and Rohn Knowles), and Unicorn International Securities (Jim Can). Through this Belize money laundering operation a number of high profile stock promotions were done between 2011 - 2014 including SNPK, ROSV, NTRO (Shull deals), TGRO, NHUR, NGRC (Liebscher deals), JAMN, BGBR, KRED, WTER, CANA (Jim Decker deals), CYNK, AMWI (Phil Kueber deals), ENIP, and AMOG. AMWI which was an APS promotion in November of 2011 even used the Bandfield/Godrey Belize address on the bottom of the APS spam email alerts for the ticker during the paid promotion. 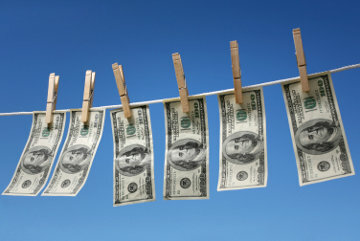 Several other tickers also used the services of the Belize money laundering group. More information in this report. It is probably no coincidence that shortly after the regulators shut down the Belize operations a number of high profile criminal cases and arrests were done including some members of the Awesome Penny Stock group, the Best Damn Penny Stock group, and Caroline Winsor. It was probably through David Zazoff (ZA Consulting) out of New York that Awesome Penny Stocks got the SNPK deal. SNPK was a shell with Robert Shull as its key insider. Shull, who now lives in the Bahamas, and Zazoff are very close. Zazoff used to run a stock promotion website of his own, stockprofessor.com, which was very popular when Eric was getting started with xplosivestocks.com. Zazoff was always looking to expand his mailing list and that is how he first became associated with Eric Van Nguyen. After selling stockprofessor.com Zazoff stayed involved with penny stocks in other ways. Another individual closely linked to Zazoff is Barry Honig who together with Dr. Phillip Frost have been involved in dozens of penny stock investments amassing themselves a large fortune. David Zazoff would give TBX (Paolucci) the REFG deal in August of 2013 which ended up being one of the last TBX promotions. Awesome Penny Stocks also used the money laundering services of Bank Gutenberg AG in Switzerland. 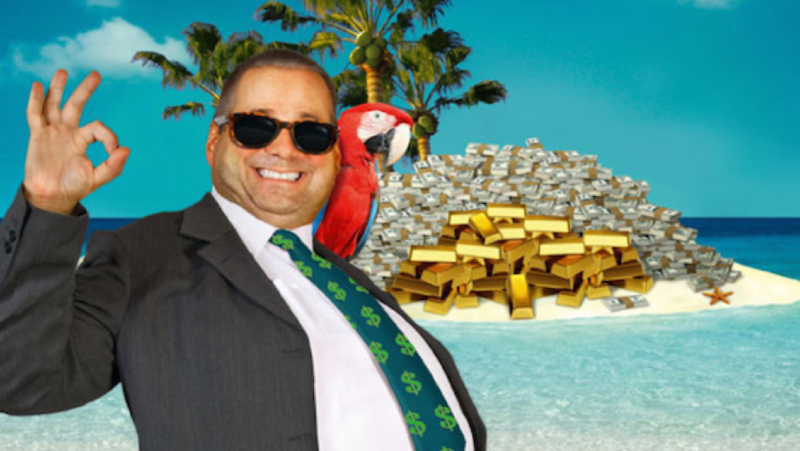 Bank Gutenberg AG is another offshore money launder outfit that has been involved in a number of high profile stock promotions like WTER, OCTX, CANA, GNIN, and others. The BCSC named Bank Gutenberg in an investigation last year. The fact is that the money didn't stay in the hands of the Belize organization for long. The money ended up in accounts in places like Bank Gutenberg AG or Caledonian Bank (David Sims). 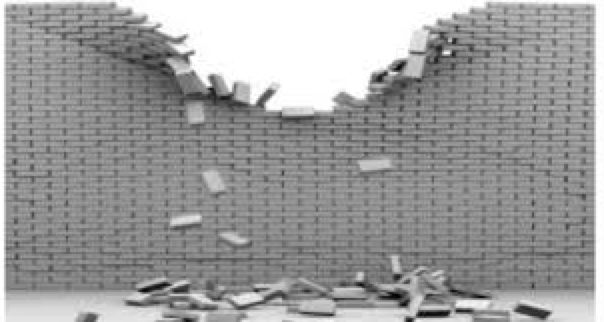 Starting in the spring of 2013, the walls began tumbling down for APS. In April of 2013 Anthony Kerrigone would bankrupt his WDCO office by creating a short position in Lot78 Inc (LOTE) and being squeezed out of his position. Kerrigone changed firms to BMAK after his WDCO office went out of business, but that didn't last long. When APS shut down, Kerrigone stopped working as a broker. In September of 2013 SEC would end up suspending two straight tickers while they were being promoted by APS (PWEI and PWCT) making it obvious that APS now had a target on its back and the regulators would no longer allow APS to run any more stock promotions. In October of 2013, the bombshell hit. John Babikian's ex-wife filed a lawsuit against her former-husband exposing his involvement with Awesome Penny Stocks and naming several accounts used by Babikian to hold over $100 million in proceeds from his stock promotion business. Read more about this in our ground breaking October 2013 report about the fall of Awesome Penny Stocks. In March of 2014, the SEC would file a civil suit against John Babikian for his involvement in AWSRQ. "The Complaint alleges that John Babikian used AwesomePennyStocks.com and its related site PennyStocksUniverse.com, collectively "APS," to commit a brand of securities fraud known as "scalping." The APS websites disseminated e-mails to approximately 700,000 people shortly after 2:30 p.m. Eastern time on the afternoon of Feb. 23, 2012, and recommended the penny stock America West Resources Inc. (AWSRQ). What the e-mails failed to disclose among other things was that Babikian held more than 1.4 million shares of America West stock, which he had already positioned and intended to sell immediately through a Swiss bank. The APS emails immediately triggered massive increases in America West's share price and trading volume, which Babikian exploited by unloading shares of America West's stock over the remaining 90 minutes of the trading day for ill-gotten gains of more than $1.9 million. According to documents filed simultaneously with the SEC's complaint in federal court in Manhattan, Babikian was actively attempting to liquidate his U.S. assets, which he holds in the names of alter ego front companies. He was seeking to wire the proceeds offshore." The suit against Babikian was settled in July of 2014 with Babikian being ordered to pay $3,730,000 in disgorgement, interest, and penalties. That amounted to a slap on the wrist when the total amount of money he made through APS promotions is taken into consideration. Babikian made well over $100 million through APS promotions and that is being very conservative. In September of 2014, the DOJ of New York would bring criminal charges against Eric Van Nguyen for his role in $290 million in pump&dumps from late 2009 - 2011. The 85 count Indictment filed in New York State Supreme Court charged Eric Van Nugyen, Jay Fung, AJ Thompson, with Criminal Possession of Stolen Property in the First and Second Degrees, Grand Larceny in the Second, Third, and Fourth Degrees, Scheme to Defraud in the First Degree, and Securities Fraud. Other Defandants in the Indictment included Anna Schmieder, Kenneth Oxsalida, Joseph Dervali, Luz Rodriguez, and Christopher Balseiro. Later John Babikian and Kendall Thompson were added as relief Defendants. To date despite the charges against Babikian and Van Nguyen in the United States, their omissions about their involvement in the stock promotion business, and the overwhelming evidence against John Babikian, Eric Van Nguyen, and Tony Papa, none of them have been charged by the Quebec authorities (AMF). John Babikian was allowed to leave Canada and move to Monaco where he lives a lavished lifestyle safe from the arms of the American authorities. Rumor has it that recently John Babikian acquired Banc de Binary in Cyprus and his latest scam involves making money through binary options. Banc de Binary has had its share of controversy over the past 2 years. Eric Van Nguyen and Tony Papa have remained untouchable seemingly immune from prosecution by the Quebec authorities (AMF). The question is why? Why have Eric Van Nguyen, John Babikian, and Tony Papa been immune from prosecution by the Quebec authorities to date? We know for a fact that the AMF has known about Tony Papa's involvement in penny stocks since at least 2008. We know for a fact that the AMF has known about Eric Van Nguyen's involvement in promoting stocks since 2009. The AMF also known about Suzie Ma's involvement with Eric promoting stocks since 2010. Most of the evidence that has come to light in the past 2 years that has led to charges against Eric Van Nguyen and John Babikian in the United States was all very well known by the Quebec authorities starting in 2010. In July of 2014 when the SEC brought charges against John Babikian for the AWSR pump&dump the SEC acknowledged the assistance of the AMF. According to the Complaint, John Babikian, using the APS websites, disseminated e-mails to approximately 700,000 people shortly after 2:30 p.m. Eastern time on the afternoon of Feb. 23, 2012, and recommended the penny stock America West Resources Inc. (AWSRQ). What the e-mails failed to disclose among other things was that Babikian held more than 1.4 million shares of America West stock, which he had already positioned and intended to sell immediately through a Swiss bank. The APS emails immediately triggered massive increases in America West's share price and trading volume, which Babikian exploited by unloading shares of America West's stock over the remaining 90 minutes of the trading day for ill-gotten gains of more than $1.9 million. 1) John Babikian sold 1.4 million shares of AWSR for $1.9 Million USD in 80 minutes. This is the definition of pump and dump. He has 700,000 people on his email list (with Eric Nguyen) which is the biggest promotion list for penny stocks in the history of the penny stock business. 2) The AMF was acknowledged in the SEC complaint against Babikian. At the time Babikian lived in Laval which would make this an AMF issue. The AMF knew Babikian pumped and dumped but they chose to do nothing. This suggests that Babikian had free reign from the AMF and for some reason they never charged him. Does Babikian have a deal with the AMF? Did he pay someone at the AMF to look the other way? The AMF and RCMP even formed a special task force that was supposed to be in charge of leading investigations against individuals like Eric Van Nguyen and John Babikian. This special task force has had tons of information passed on to it about the Awesome Penny Stock organization over the past 4 years, but none of that information appears to have ever been used by the Quebec authorities. I have knowledge about email exchanges between this special task force and independent investigators wanting to share their information about Eric Van Nguyen going back to 2011 and 2012. In those exchanges a representative of that special task force seemed more interested in tracking down the sources of the information than he did in following up on the information. He'd ask people sharing information to contact him at non-official emails set up through gmail rather than through his RCMP email. Why was this individual going through so much trouble to hide the information being presented to his agency from his agency? The whole thing was very suspicious to say the least. If Quebec regulators would have acted on the information they had against Eric Van Nguyen and John Babikian they could have saved US investors from hundreds of millions of dollars in losses which begs the question could the AMF be held responsible in a class action suit brought by the victims of the Nguyen/Babikian/Papa/Ma promotions? In May of 2014 one of the domains affiliated with Awesome Penny Stocks, pennystocks.com, became active again promoting a ticker that we once labelled a future APS promotion, Rainbow International (RNBI). 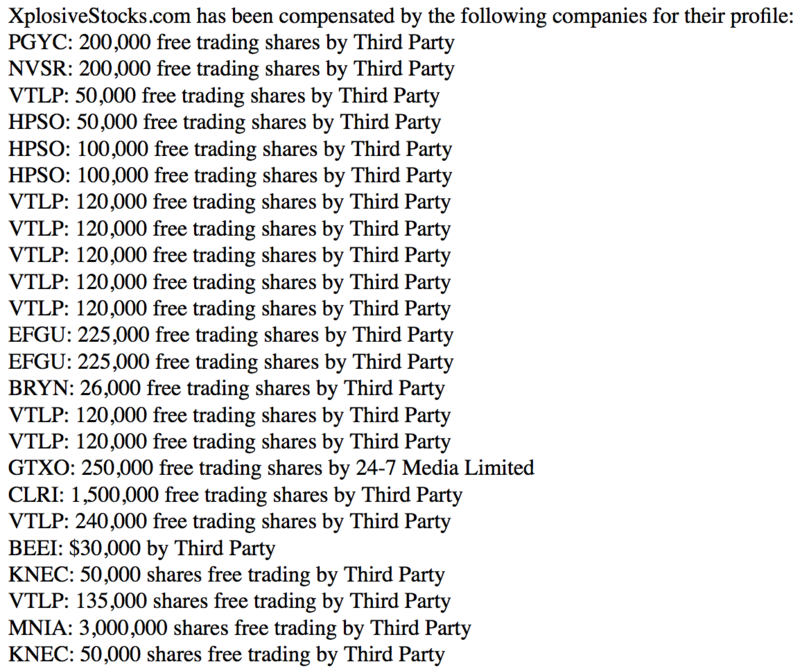 Awesome Penny Stocks had purchased the domain pennystocks.com from Peter Leeds for $1,000,000 in 2012. The RNBI promotion was followed up on November 3, 2014 when promotionstocks.com along with elitepennystock.com and several new domains promoted Glenmark Capital Corp (GLRKF) a Vancouver based company trading on the TSX Venture Exchange. Most recently this new Elite Penny Stock (EPS) group promoted Media Analytics Corp (MEDA) starting on December 8, 2014. We previously linked MEDA to Michael Kang and Sterling Securities back in September of 2013. The price action for MEDA early on was very similar to the price action we used to see with old Victory Mark and Awesome Penny Stock picks leading this researcher to wonder if Eric Van Nguyen is still involved in promoting stocks through this new Elite Penny Stock group of domains. From what we've learned about Eric in our research, he is a very greedy person that is very driven to make money. Great read, THX ND !! John Babikian owes me $500,000. please email me at [email protected] if you know where he is located. Last I heard John Babikian was hiding out in Monaco, but that was over a year ago. If I hear anything new I’ll be sure to email you. Sorry to hear about your loss! Terrific accounting. A couple of things though. You did not mention that PennyStocks.com which appears in your Elite Penny Stock group of sites, was formerly affiliated with Awesome Penny Stocks and promoted hand in hand with those perpetrators. Also, Elite Penny Stock is not a new domain, but one that has being promoting for quite a while. As recently as August 2013, it was one of the publications of Advanced Marketing Services, whose other newsletters included AwesomePennyPick.com, EastwindResearch.com, MegaStockAlerts.com, PennyLaneReports.com, PinnacleStockAlerts.com, and Vip.StockReports.com. Tickers previously pumoped bu Elite and company included SLTZ, RITE, RJDG, EAPH, PDPR, EVSV, FEEL, NANI, LTNC, SITS and dozens of others. It’s also worth mentioning that in addition to Babikian, Jim Can also remains a fugitive of the law, wanted in three countries and reportedly hiding out in Turkey where he is a national an difficult to extradite. I’m an old, trying to retire, newspaper investigative reporter that got involved in the investigation of John Babikian in partnership with a local Oregon wine-in-a-glass promotor., James Martin. and their purchase of 450 acres farm land in Oregon State for $2 million cash in April 2013 from Jack and Sara Hay. an Oregon USA wheat farmer; However apparenlty Mr. Babikian failed to understand that the purchase of any farm land in the USA by foreign entiite(s) must be reported to the USDA and Homeland Security with full disclouser of the source and ownership of said funds. It appears that Babikian sold the farm, perhaps ot hide the $2 million cash purchase from his wife, pumped another estimated $5 million into the development of a 400 plus acre vineyard with his wine-in-a-glass wine partner, James Martin. Martin became known to Babikian as a guest on “Shark Tank” TV show. A recent title search shows that John Babikian sold most of the vineyard to a group out of Hong Kong called First Power that both and I and the SEC suspect is another Babikian entity. Of course all this is but my opinion and I could be wrong. 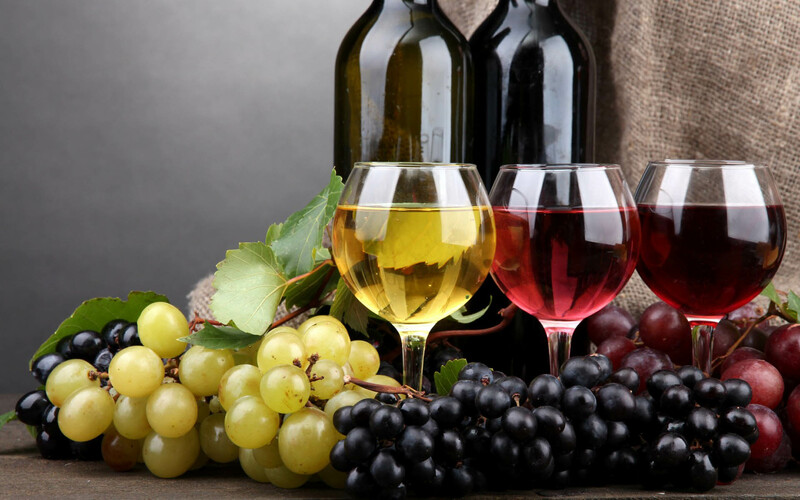 .Howeever I would be interested in sharing and trading information on his involment in the wine and land sales business in Oregon. Email me if interested. APS tickers GOFF, SWVI, and XUII named in a Complaint against Cayman Islands-based Caledonian Bank, Legacy Global Markets, Clear Water Securities, and Verdmont Capital. Here is an interesting email exchange between Tony Papa and Fannie Turcot (attorney for the AMF) and David Gallant (investigator for the AMF) from 2013 in which Tony Papa offers to work with the AMF by sharing information about his business partners in the penny stock world in exchange for some assistance from the AMF in return. I find the part about Fabrice Benoit interesting. Benoit was the lead investigator for market manipulation at the AMF from 2008 – 2011 then after he left the AMF it appears based on his comments in the CBC special that he became Eric Van Nguyen’s personal attorney. It sure makes it seem possible that Fabrice Benoit may have been protecting Eric Van Nguyen and Eric’s associates for years. I have a feeling there is more that will be coming out about this whole story in the coming weeks. Great story and content. Just saw the fifth estate program about this. Very interesting. Looking forward to a follow up. It also seems there is financial incentive for the government to bring these characters to court to be taxed and processed.